So, we have been home for several days now and many of you know how the last couple of weeks of our travels played out, but still I thought I should write some sort of ending to our 7 month family journey that took us around the world. The last I left you we were on our way through the Northern reaches of Italy and into Austria. 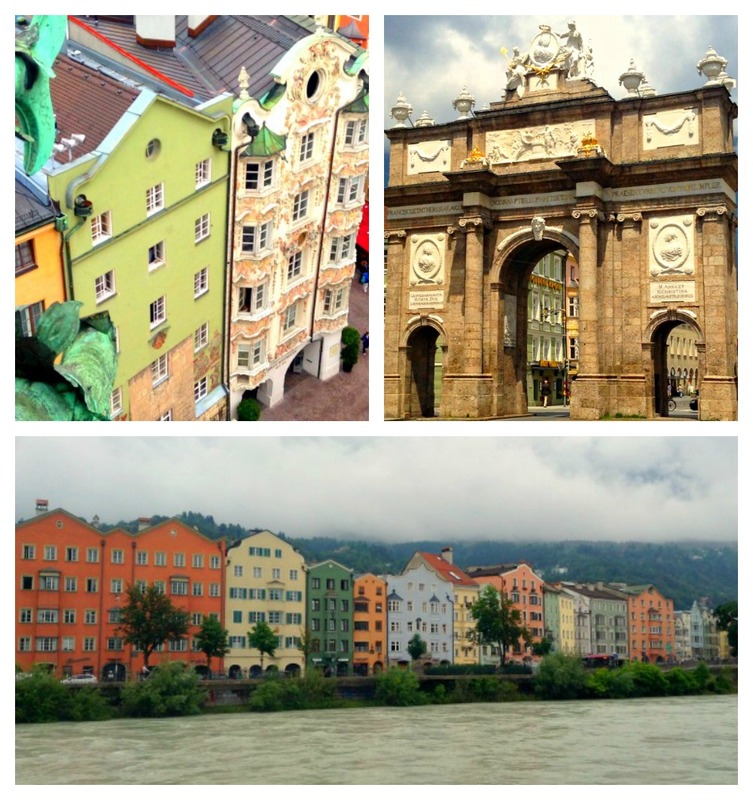 We spent five fabulous days touring around Innsbruck, Austria which was made perfectly easy by the Innsbruck Card that we purchased from the Visitors Centre upon arrival. 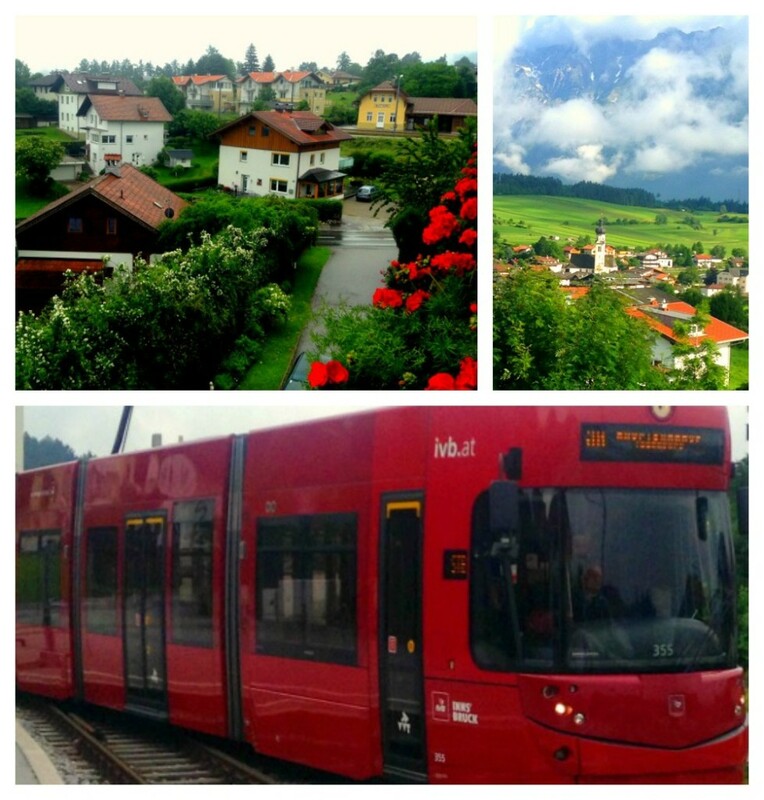 For the majority of our stay, the Innsbruck Card gave us access to free transit, entry into all museums, the Alpine Zoo, the City Gondola and Funicular and Olympic Facilities. We found the Innsbruck Card to be a great deal and having the card made moving around and visiting Innsbruck super easy. While we visited Innsbruck, we actually stayed on the outskirts of town in a quaint little village known as Matters and took the relaxing 20 minute train ride into Innsbruck city centre every day. 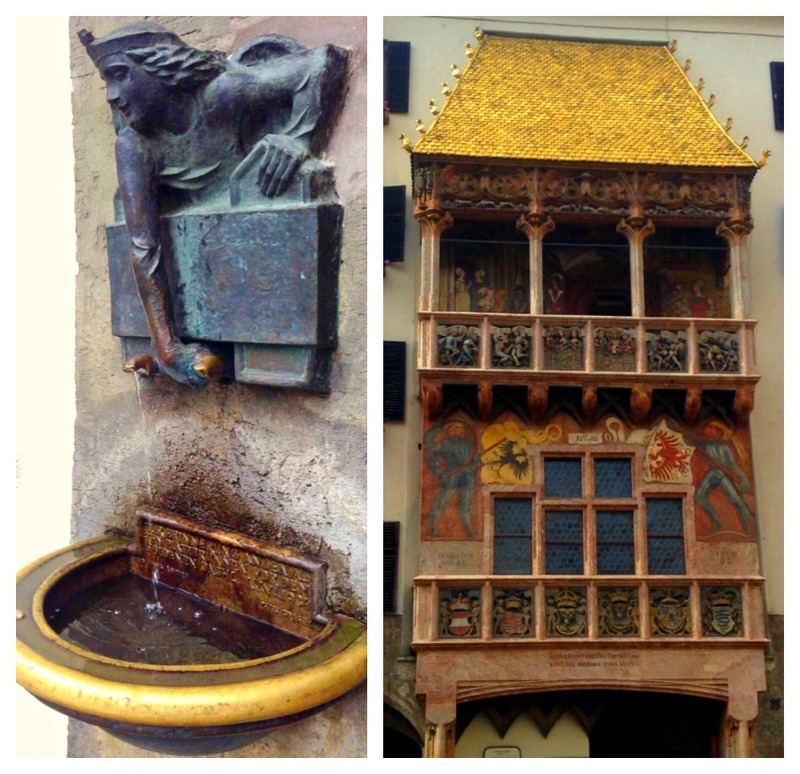 Of course we took in the many beautiful sights of Innsbruck city centre including the stunning architecture, statues and the world-famous Golden Roof. 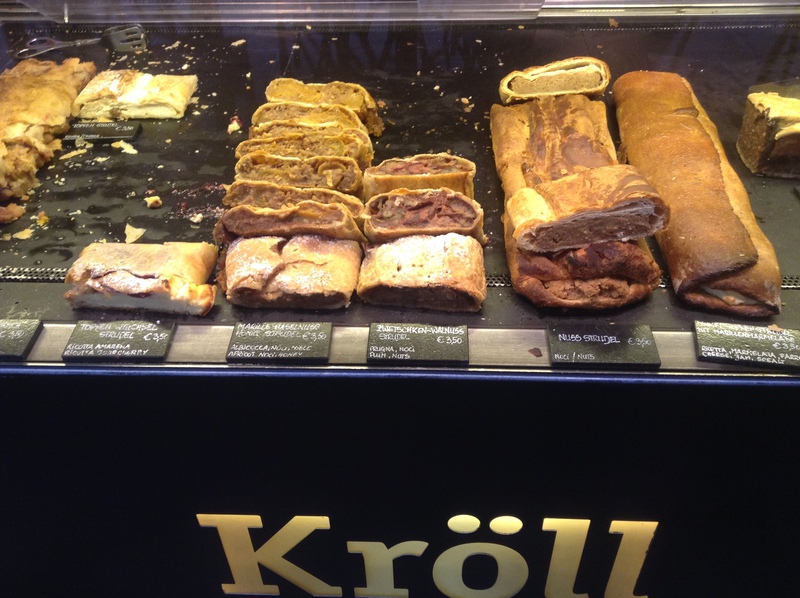 Oh, and we may have tried a strudel or two. 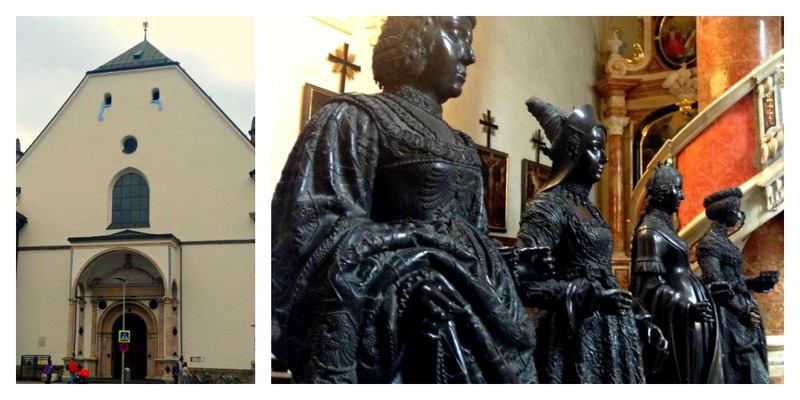 We visited the Court Church which houses the tomb of the Holy Roman Emperor Maximilian I who requested his place of rest be surrounded by his heroes and ancestors. 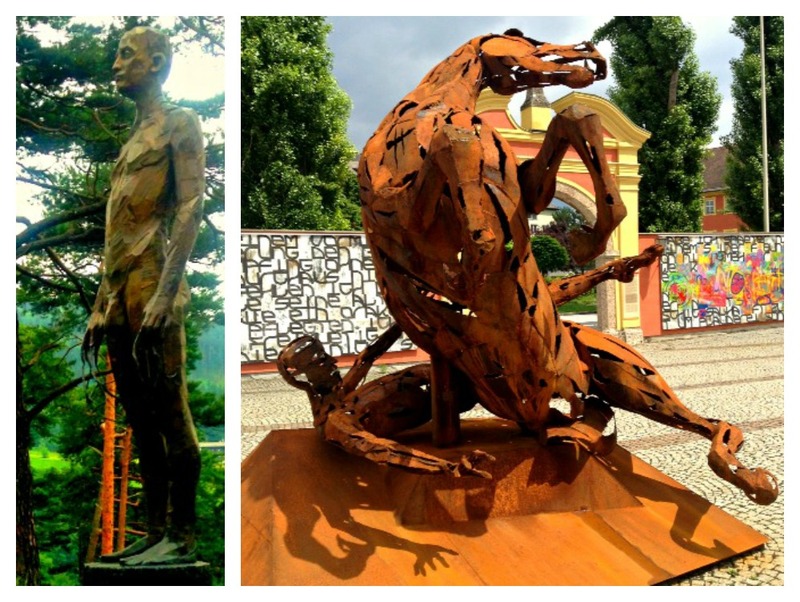 For this reason, there are 28 lifelike bronze statues of kings, queens and persons of legend surrounding Maximilian’s tomb. The tomb itself is decorated with scenes from Maximilian’s life. We also took the ride up the Hungerburg Funicular and Gondola on what turned out to be less than ideal conditions. First shot is the view from the gondola as we made our way up the mountain while the second photo is at the top of the mountain range. Not sure if you can tell from the photo, but it was a little chilly on top of the mountain so after a few photos we headed into the restaurant where we could enjoy the view of clouds and fog from the warmth and comfort of our chairs while sipping hot chocolates. 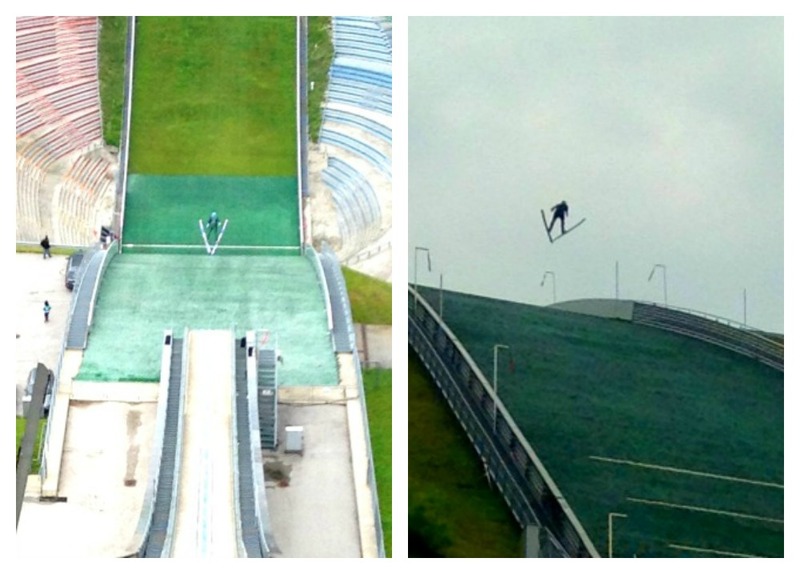 While we visited Innsbruck’s Olympic Ski Jumping facility we were fortunate enough to witness a ski jumper in action. Holy Crapoly, is all I have to say about that. 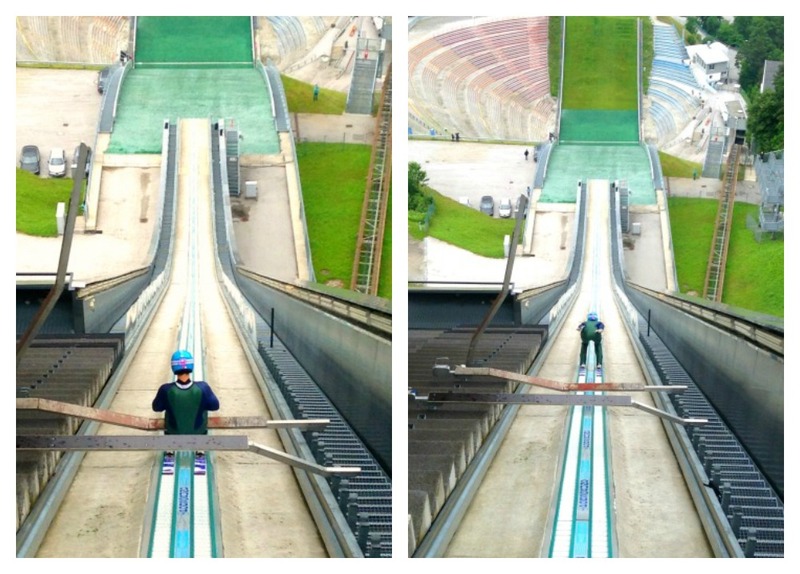 Never in my life, would I, or could I, make myself go down that ramp and launch myself into the air with a couple of planks strapped to my feet. On top of watching the ski jumper, the facility also offers great views of Innsbruck and a restaurant. We however, did not indulge in the restaurant as we found it too pricey. Keep in mind though, that Paul opted to save .50 cents Canadian by not having air-conditioning in our vehicle on a 1 1/2 hour drive in the heat of Sri Lanka. Trust me, we only made that mistake once and we still tease Paul about that one. 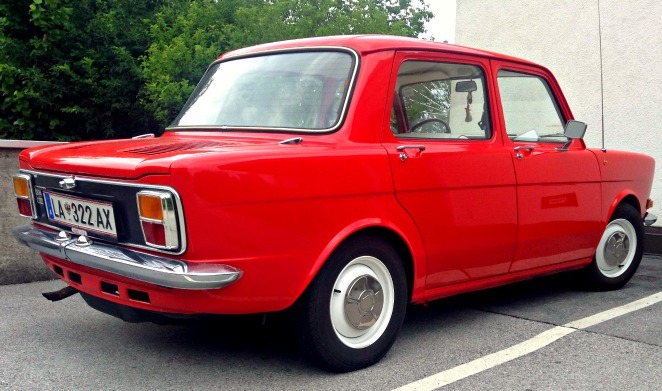 After Innsbruck, we made our way through Germany on the legendary Autobahn to reach the town of Strasbourg which is situated right on the border of Eastern France and Germany. 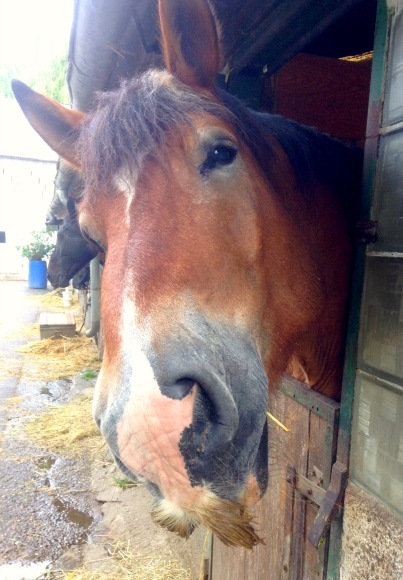 Here we spent two nights at an Equestrian school. Lydia loved being surrounded by horses again and this guy was her favorite due to the stache he was sporting. 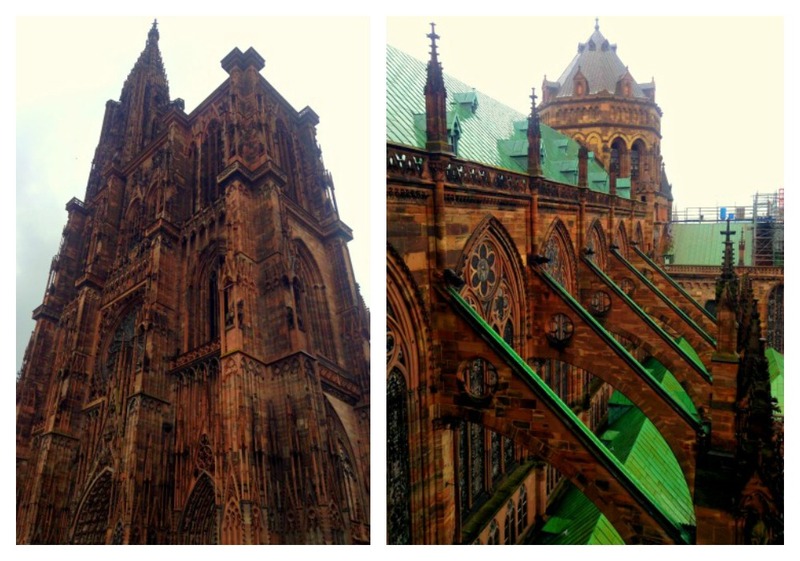 While in Strasbourg, when we were not with the horses, we visited the Notre Dame de Strasbourg and made the dizzying climb of over 300 hundred steps on a spiral staircase to the top where we were met with outstanding city views. 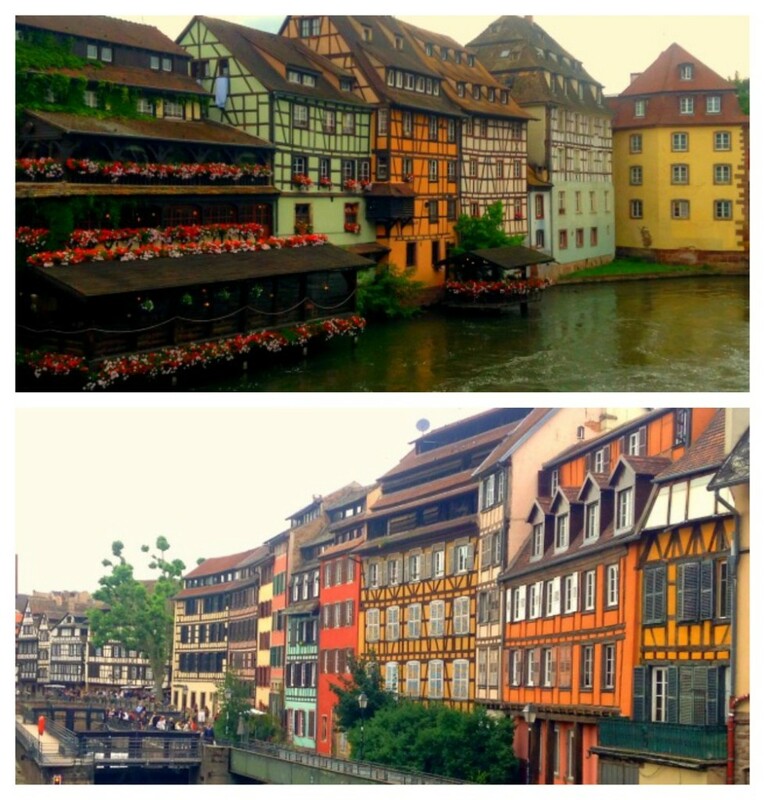 We also went on a quaint walk through La Petite France which is a very historic and beautiful part of Strasbourg. 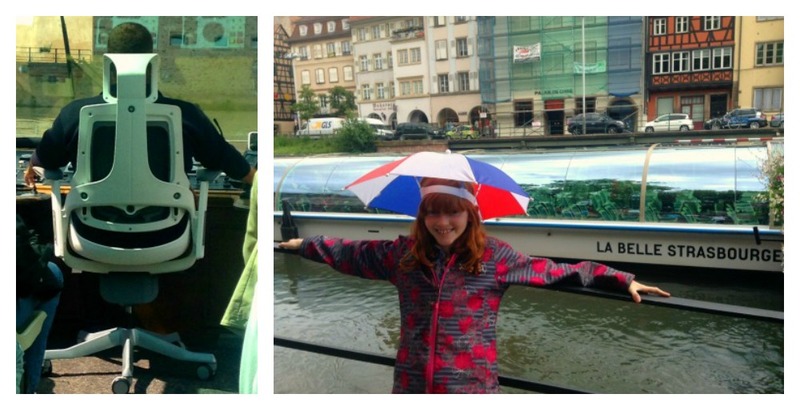 And a lovely boat tour of the city. The vessel itself was pretty high-tech and as I sat behind the Captain and watched him man the ship, I began to wonder if I was actually on the S.S. Enterprise. All we needed was Leonard Nimoy (AKA Spock) narrating on the headsets. That, and maybe one or two less sleeping seniors on the bridge. After a couple of nights in Strasbourg, we headed North West to the town of Verdun where we stayed in an old house in the french countryside. 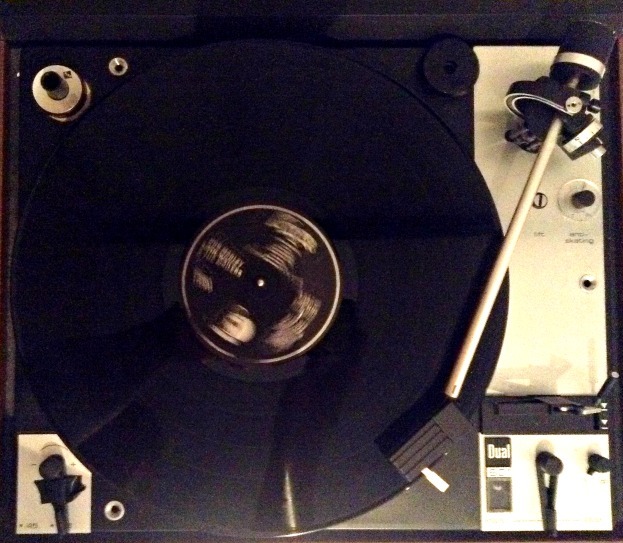 Paul’s favorite thing about this place was the record player and the hundred classic albums to choose from for his listening pleasure. 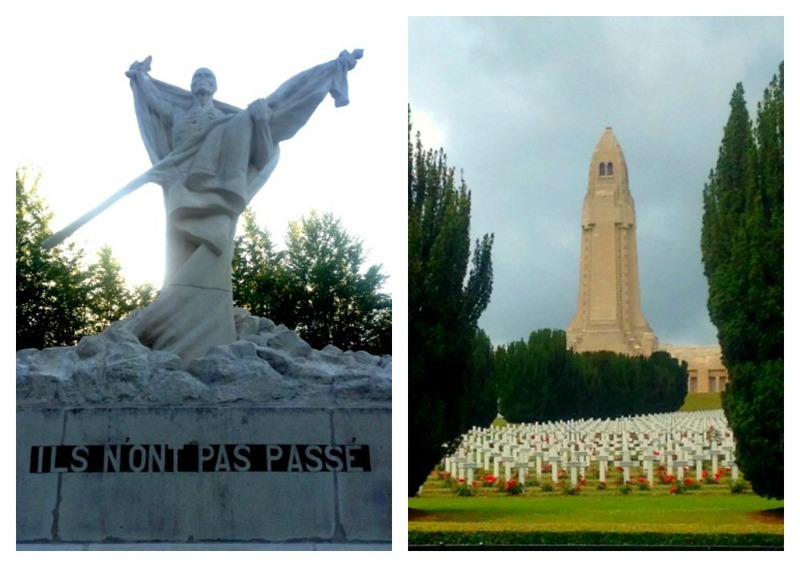 The Verdun area is filled with WWI history and during our 3 night stay in the area, we decided to check out some historic battlefields, monuments and Museums. On our second day we decided to take a 9 km hike through a battlefield site. When we researched the trail system online, it said that the trails were not well marked, but you know, we figured an old Park Ranger and a Navigational Officer for the Coast Guard should be able to fare quite well, so off we went. Alas, our intended 9km loop trail turned into a 5 1/2 hour, 20 to 25 km excursion into the woods. The kids were real happy with us. 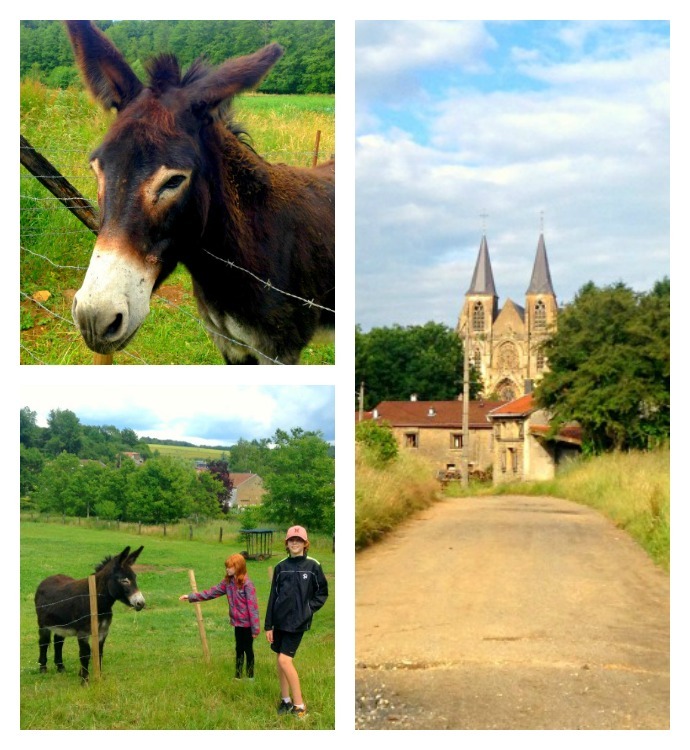 To further add to the kids pain, the following day we did a 15 km loop trail through the french countryside that went past historic churches, farmland, small villages and WWI bunkers. I can’t tell how happy the kids were when we came around the bend and saw the church where we had parked the car. 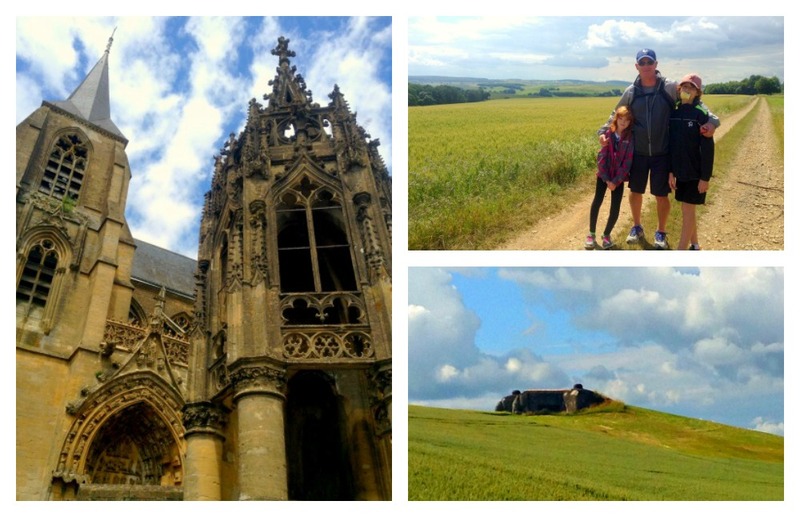 After Verdun, we drove to Paris and spent the night by the airport. Early the following morning, with two very excited kids, we hopped on a plane headed for home. 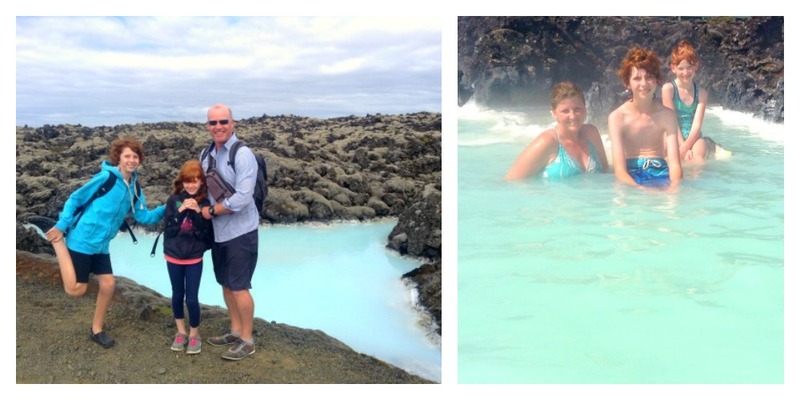 First though, we would make a stop in Iceland for the day to spend some time at the Blue Lagoon. Absolutely fantastic way to spend the afternoon and just for the record, this is the one and only shot you will ever see on this website of me in a swimsuit. So, I wanted to leave you with a shot of Lydia eating her long awaited White Spot burger which she did have at the Vancouver Airport as soon as we landed, but after 2 bites of her burger, she fell asleep on her backpack. I guess 20 hours of travelling wiped her out. 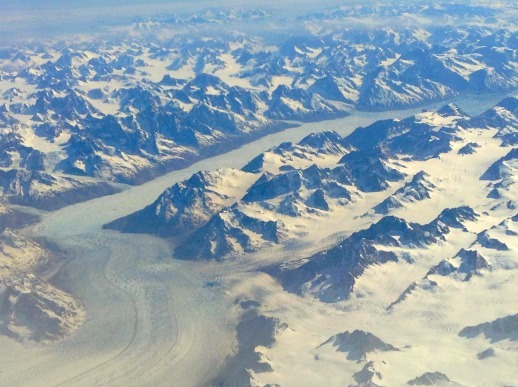 So instead, I leave you with a shot of Greenland that Callum took from the Plane while we flew over. 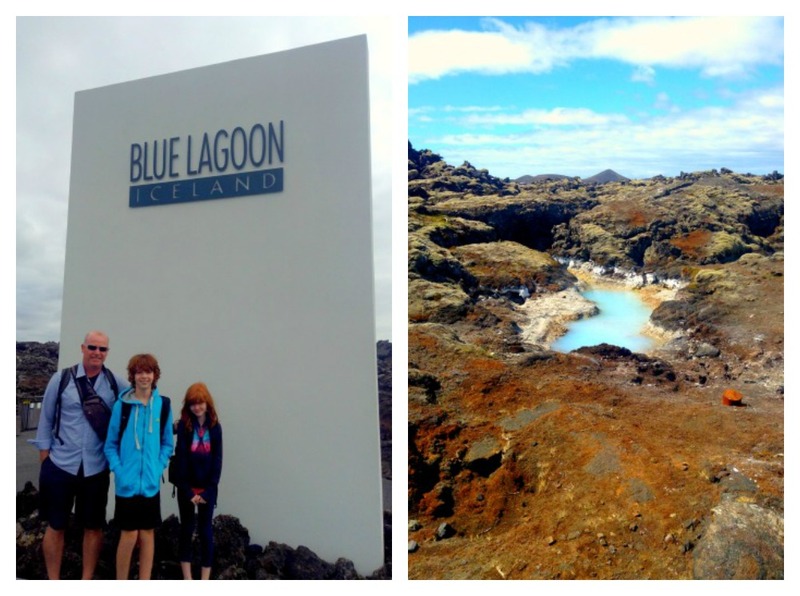 Extraordinary family adventure for the right amount of time. We were all ready to hop on that flight and be back home surrounded by places and people we love.